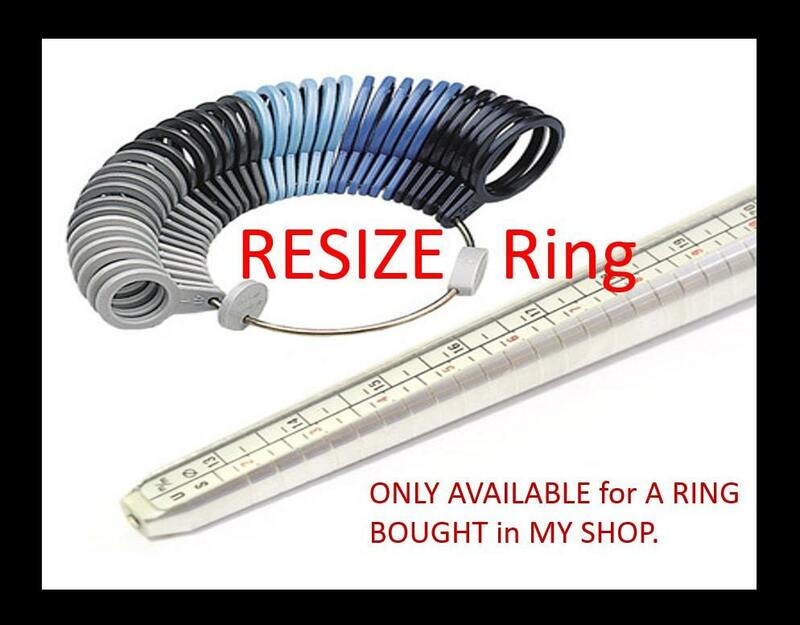 Resize Ring, Enlarge or Shrink, if your size is NOT Available. 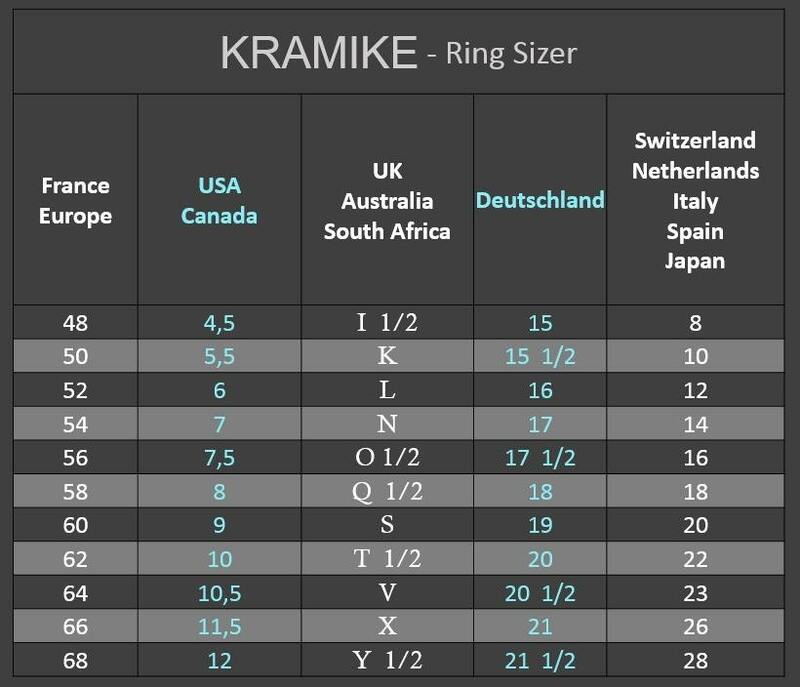 Only for KRAMIKE Rings. Resize MAXIMUM 5 Sizes Bigger or Smaller. Service only for KRAMIKE Rings. 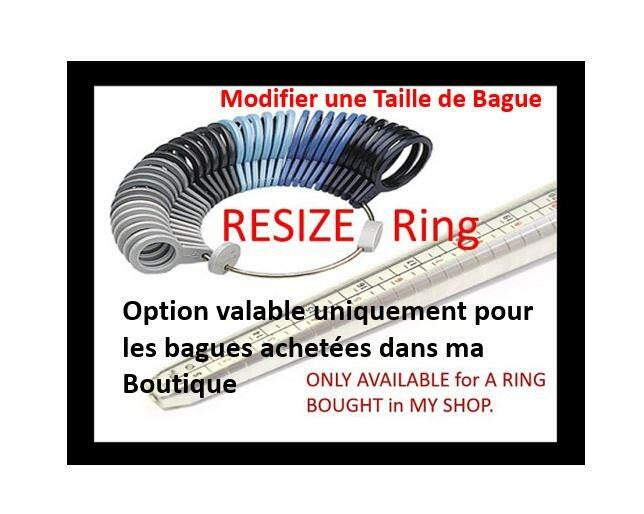 Resize Ring, Enlarge or Shrink, ONLY if your size is NOT AVAILABLE for the ring you want to order, in the original listing. Resize MAXIMUM 5 Size Upper or Lower from the biggest or the smallest available size in the listing. !!! ATTENTION : The SMALLEST possible size is US size 4.5!!! 2. Select this resize listing, choose if you want to resize Bigger or Smaller, then put it in your basket. 3. VERY IMPORTANT!!! : Whatever the size you choose on listings, please leave me a message with exactly the size you need. Thank you so very much for my gorgeous turquoise ring! You are so talented!! I really appreciate you resizing my ring to make it smaller, and the quick service, and shipping! Excellent job! Thank you! Overall, very pleased with the process, timing and the final product. Thanks for resizing, since I originally ordered the wrong size . Sizing done well and fits great! Thanks for helping me resize it when I had given you the wrong measurement.